So tomorrow is New Year’s Eve already. Where does the time go? I am looking forward to a night in with friends. I won’t say quiet because with our three boys and another two boys it will be extremely loud! We will have fun though, we always do. 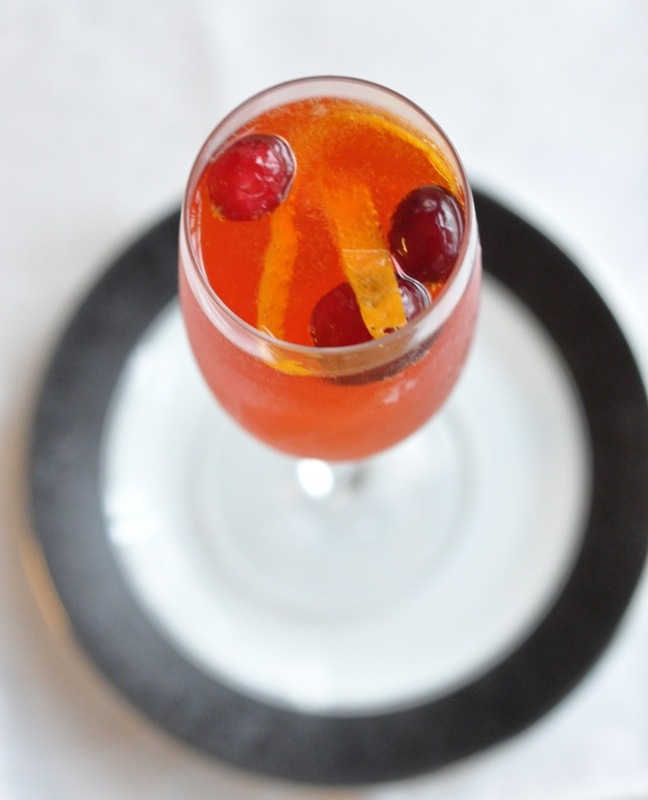 This entry was posted in Beverages and tagged beverage, bubbly, celebrations, champagne, Cocktail, orangecello on December 31, 2013 by Gretchen. Once again time has gotten away from me. It is already Christmas Eve! Happy holidays to all of you! I hope you enjoy some time with the family and eat delicious food. 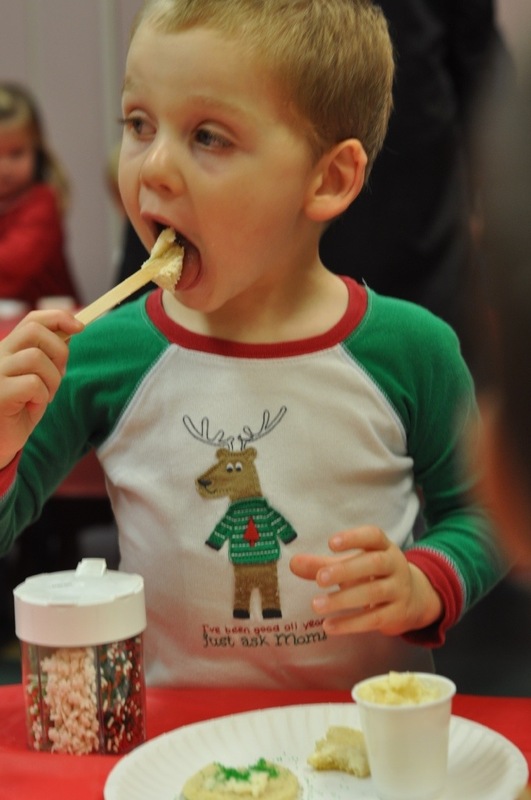 While I did not have time to post much for the holidays I thought I would share some of our holiday food traditions. Christmas Eve we have homemade pizza. I don’t recall how this started, but for as long as I can remember my family has always had pizza for Christmas Eve. There have only been one or two dough disasters with emergency pizza delivered! This is a fun tradition we continue with our boys. We will be headed to my parent’s house shortly to enjoy our pizza dinner with them. Dessert is rather simple. Homemade Christmas cookies and homemade eggnog. 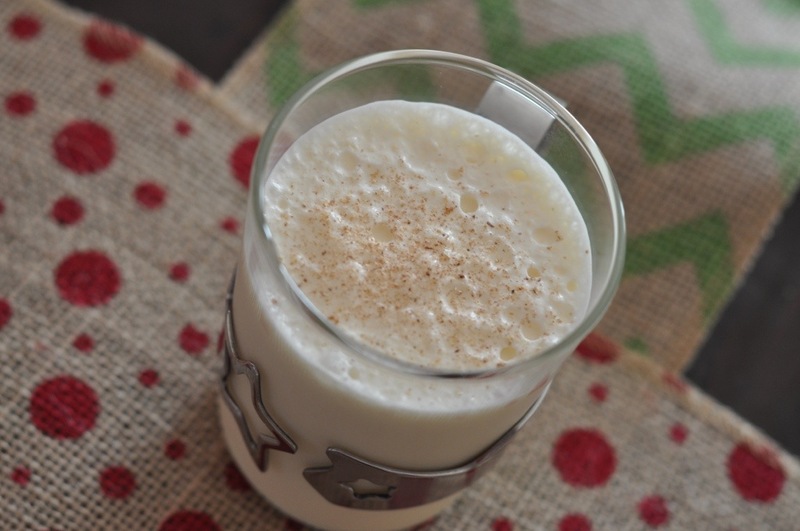 The eggnog is a MUST. 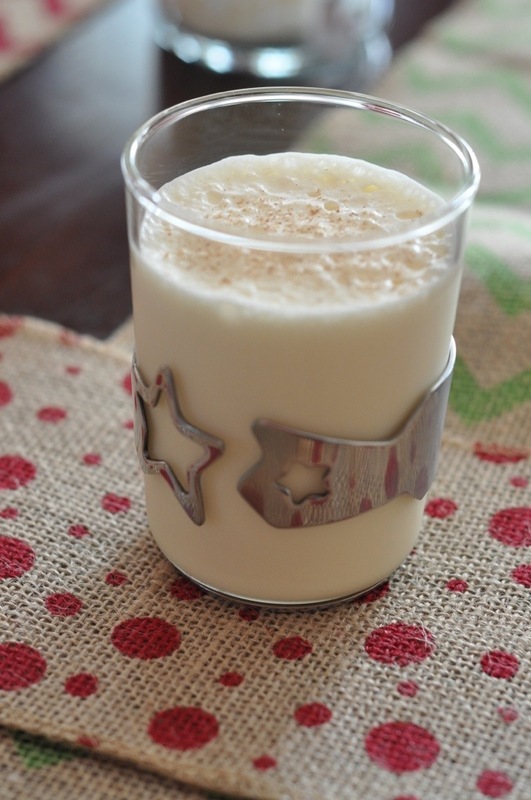 If you have never had homemade eggnog you must try it. There is just no comparison to what you buy in the store. The boys and I made a double batch yesterday and they are thrilled. They already told Daddy that he needs to try Mommy’s “special drink”! 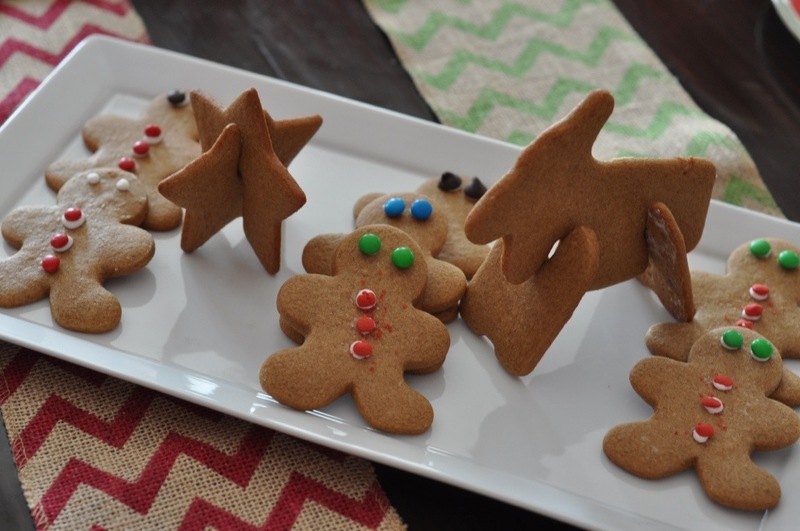 As for the cookies, this year we have gingerbread men as well as some reindeer and stars that stand up. Traditional vanilla cutout cookies are a hit with the kids too. One of my favorites is jam thumbprints. I used hazelnuts and filled them with homemade white chocolate raspberry jam. I also made one of the classics my mom always made, candy cane cookies. I dipped them in dark chocolate. The shape didn’t turn out well, but they still taste great! To round it all out we have mint chocolate fudge and peanut butter fudge (Josh’s must have). Christmas morning is all about opening presents. Growing up I was the one waking the family early, even in college I would get them all up at 5am! We have a pot of hot tea while we open presents. Cinnamon toast is a classic in our family too, just enough to hold you over until brunch. This year we are having biscuits, country ham, scrambled eggs, fruit, an almond pastry and of course our mandatory mimosas, sparkling juice for the kids. We don’t have a traditional Christmas dinner. Every year is something different. It took us some time, but last night we finally decided on a Raclette dinner. A Raclette is a European table grill/broiler contraption. We will grill shrimp, scallops, steak, squash and mushrooms on top. In the broiler trays we will broil the potatoes, broccoli and cheese to melt. It is a fun drawn out dinner similar to fondue which requires plenty of wine! 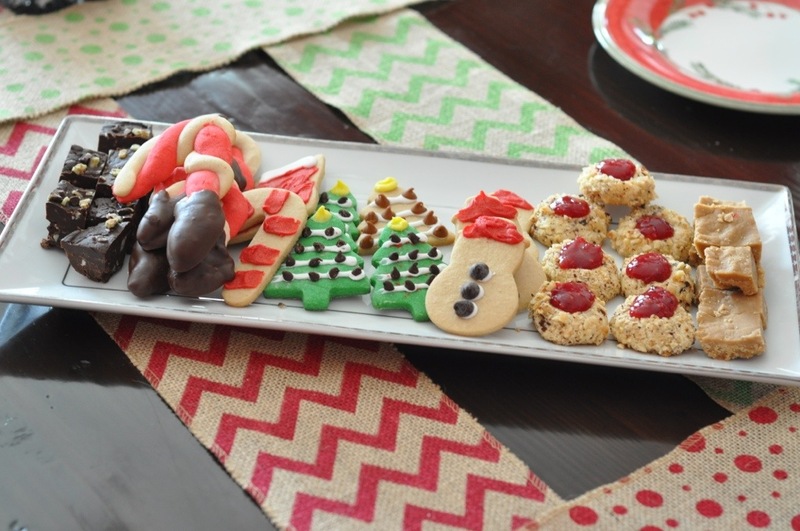 What are your holiday food must haves and traditions! 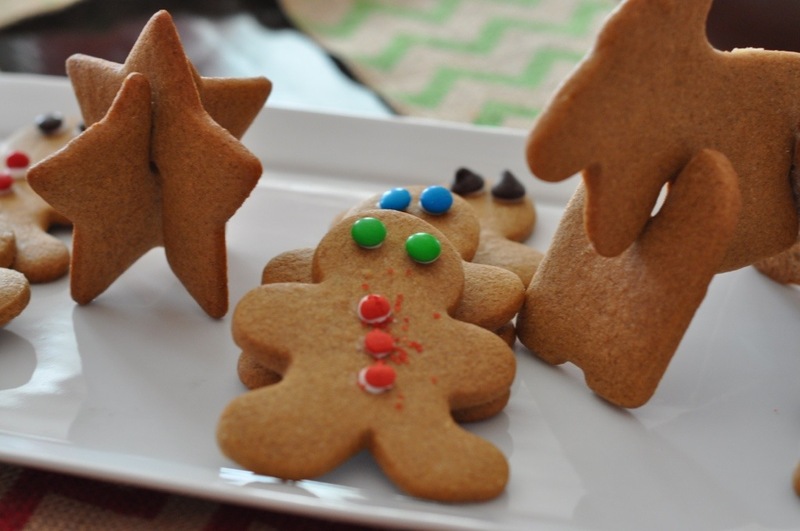 This entry was posted in Family Celebrations and tagged brunch, celebrations, cookies, eggnog, family at hearings, holidays on December 24, 2013 by Gretchen. 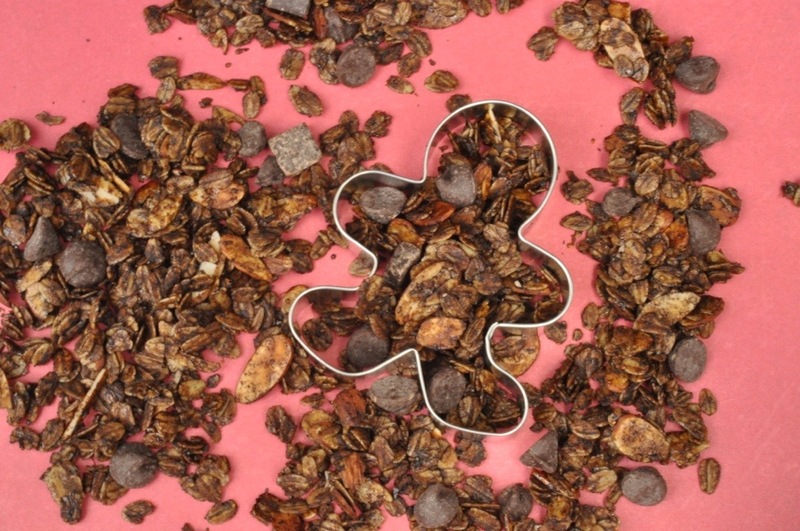 I must warn you, this granola is seriously addictive! It all starts with an innocent hand full. And then another, and another…until you have no idea how much you have really eaten. Not that I would know from personal experience. Okay, confession time. I came home from the gym yesterday and kept nibbling while taking pictures of this granola. I did just burn over 1200 calories so it can’t be too bad can it?! 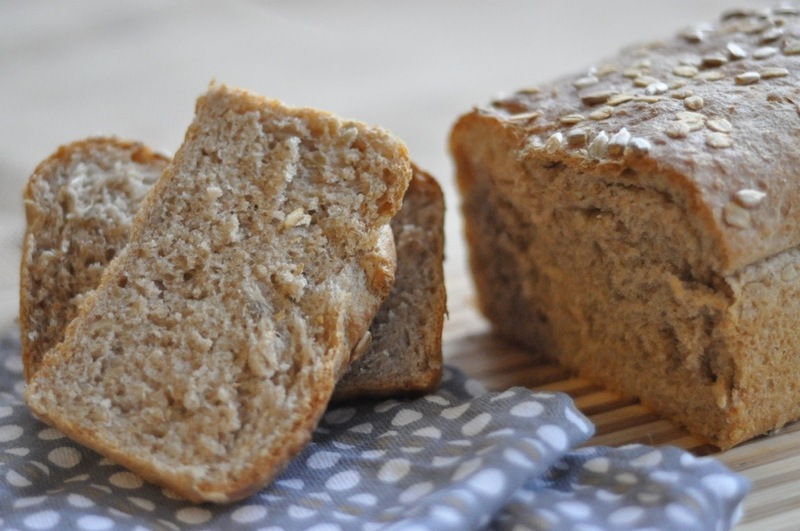 This entry was posted in Breakfast, Snacks and tagged breakfast, cereal, gifting, gluten free friendly, granola, holiday gift, holidays, homemade gift, snack, vegetarian on December 11, 2013 by Gretchen. 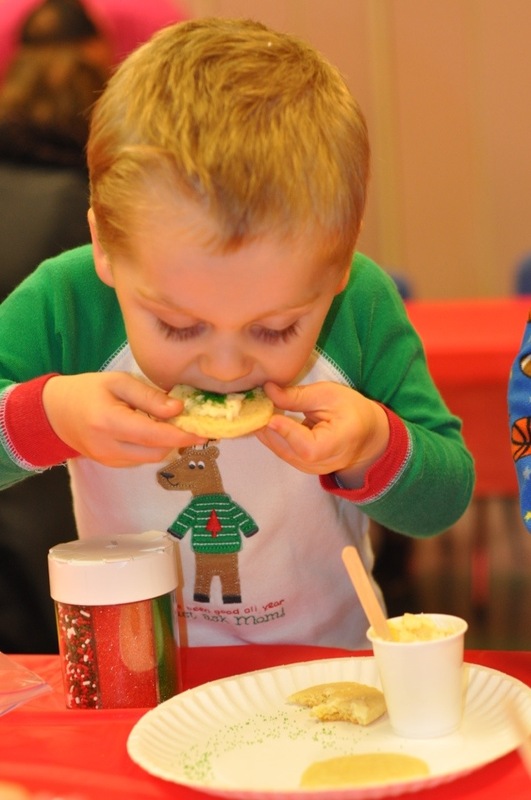 This isn’t a fun recipe post but rather some entertaining pictures of Sean decorating cookies. Tonight we had a pizza dinner at Ewan’s preschool. Afterwards the kids all got holiday tattoos, made a craft, played (that would be run wild for my kids) and decorated cookies. I was the volunteer for the cookie activity and I must say it was quite entertaining. 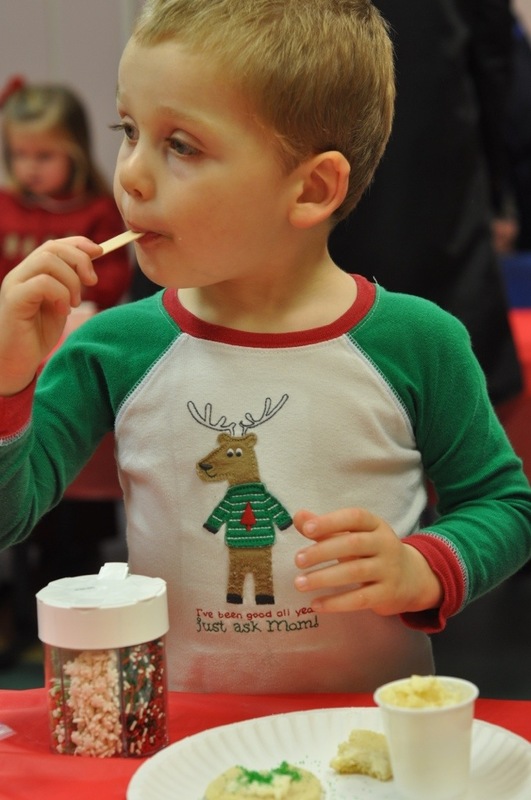 Each child got a bag with three sugar cookies and a small shot sized cup of frosting with a Popsicle stick to spread it. There were multiple bottle of sprinkles on all the tables. Needless to say I saw many cookies with LOTS of sprinkles. Many kids ate the extra frosting right off the sticks. Finally at the end I saw one girl pour sprinkles in the frosting and eat it! Frankly I expected one of my boys to try that! Enjoy a few pictures of Sean…. 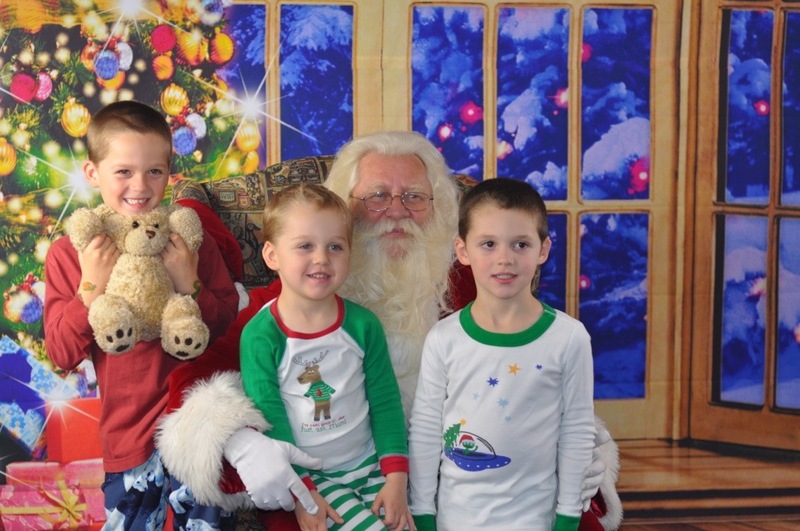 Here are all the boys with Santa, plus Bethel the bear (Jack was super kid this week at school and has the class stuffed bear). 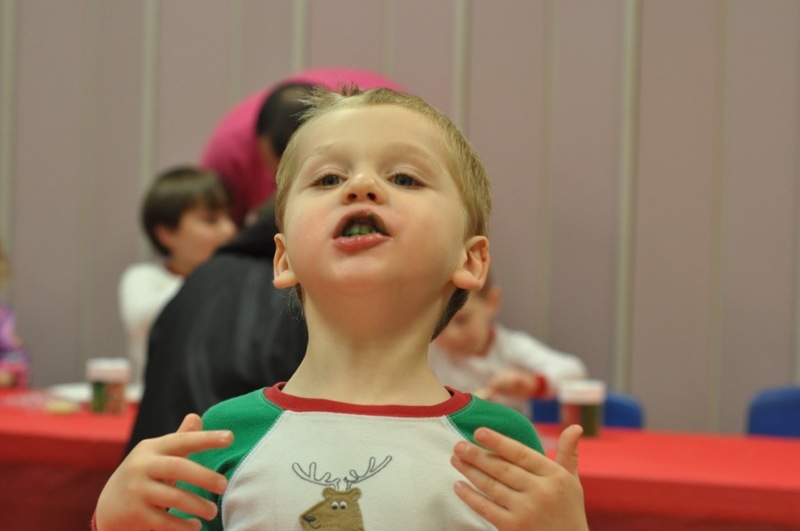 This entry was posted in Uncategorized and tagged Christmas Cookies, sugar high on December 8, 2013 by Gretchen. 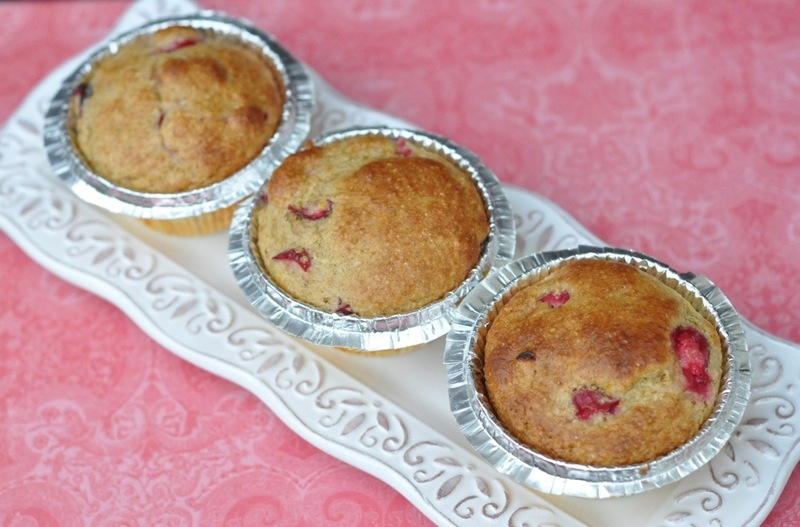 This entry was posted in Muffins and Quick Breads and tagged cranberry, easy, muffins, Orange, quick, white wheat flour on December 6, 2013 by Gretchen.